Looking for the ultimate cozy chic hat? You've found it. With the perfect amount of stretch and slouch, the Thermal Toque tops off the snow bunny look with sophistication and comfort. 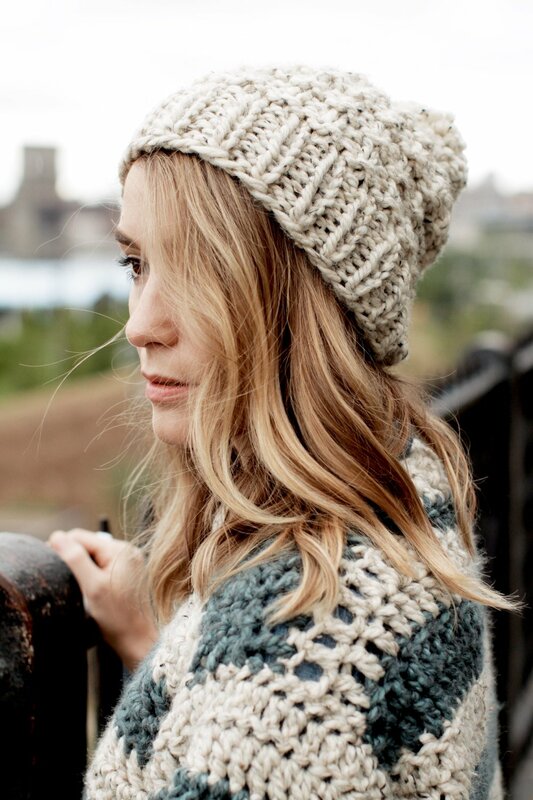 The basic beanie shape is enhanced with a classic thermal stitch pattern and topped with a fluffy pompom. This is an easy level knitting pattern, and the techniques involved are knit, purl, k2tog, and working in the round. All Two of Wands patterns are written in standard US terms.